We don't have a restaurant but occasionally we offer special events that inlcude dinners and wine pairings. Our signature vineyard-to-table cuisine is based on the natural link that we have to our vineyards. Looking as a model to the historic European wineries and wine growing regions, there is an intrinsic link and original "localvore" focus where as much as possible all food is produced and consumed locally. Our food is designed to complement our wines and provide the natural linkage between food and wine. 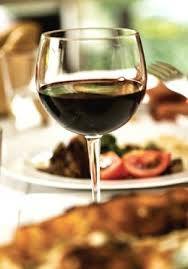 Please check the Events page for upcoming dinners and wine events.